Popular as 'Foxtail palm' this species is indigenous to northern Queens land, Australia. 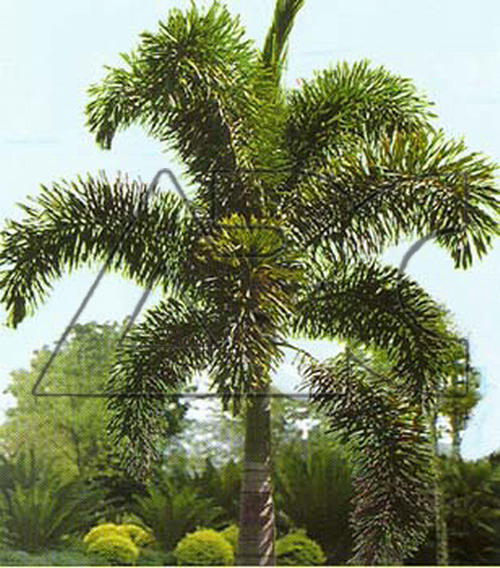 A tall, solitary-trunk palm with a large head of long, plumose, feathery leaves; it is fast growing and used as a feature landscaping palm in full sun. It is resistant to lethal yellowing and is generally disease-free. Growing in temperate to tropical climates, it tolerates drought and light frosts. It requires heat of 35ºC for best results.